The origin of the Notre Dame fire was revealed to be the cathedral's roof, according to CNN, citing a police source. YALTA (Sputnik) - The leaders of the French National Rally party and Italian Deputy Prime Minister Matteo Salvini will gather in Milan in mid-May to discuss Salvini's new pan-European alliance of right-wing parties, formed last week ahead of the European Parliament elections. The carbon dioxide that is produced during combustion made the little insects intoxicated and put them to sleep instead of killing them, Notre Dame cathedral's beekeeper Nicolas Geant explained to Sky News. 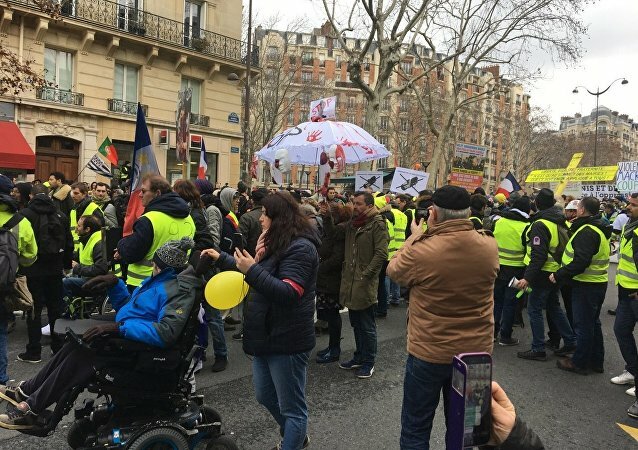 Yellow Vests demonstrators are taking to streets for the 23rd round of protests that have been rocking the county since mid-November. A major demonstration is set to take place in the capital city of Paris. Saturday’s demonstration marks the 23rd consecutive week of protests that have engulfed the country since mid-November. Last Saturday, some thirty thousand protesters took part in the protests. 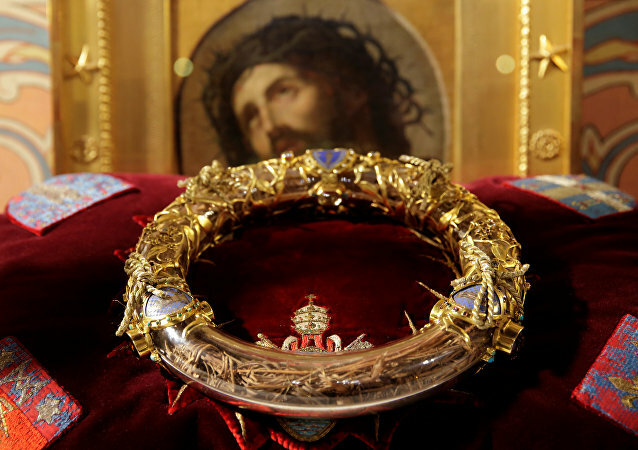 The Crown of Thorns artifact was displayed to parishioners at a special Good Friday service in Paris. The relic was rescued from the horrendous conflagration that engulfed the Notre Dame de Paris earlier this week. Serbia marked the 20th anniversary of the NATO bombings in March, but even such a long period of “endurance” was not enough for the country to end the disputes about what it really was: an intervention, an aggression, an operation or a war. Sputnik's weekly photo gallery gives you a glimpse into what's been going on in different corners of the world over the past seven days. Archbishop of Paris Michel Aupetit is leading the Way of the Cross at the esplanade of Notre Dame in the French capital on Friday, after a fire devastated the cathedral earlier this week. Discussions about a joint European military force have flared up over the past year amid tensions with the EU’s key strategic ally, the US. Although a European army still remains a mere concept, the EU is set to commit billions for military cooperation and a European Defence Fund (EDF). The fire that ravaged the iconic Parisian cathedral broke out on 15 April, devastating the famous landmark; an electrical short-circuit was later named by French authorities as the most likely cause of this tragedy. The whole world watched the 856-year-old Notre Dame cathedral go up in flames earlier this week, with French prosecutors assuming that the most likely cause of the devastating blaze was an electrical short circuit. The French unit will be deployed in Estonia, just 140 kilometres away from Russia. The deployment is Paris’ contribution to the increased NATO presence in the Baltic States and Poland. Russia has long voiced alarm over the alliance’s activities near its borders. MOSCOW (Sputnik) – The police prefecture of Paris said it had prohibited yellow vest demonstrators from holding a protest on the coming Saturday near the Notre Dame cathedral that has suffered from a massive fire. 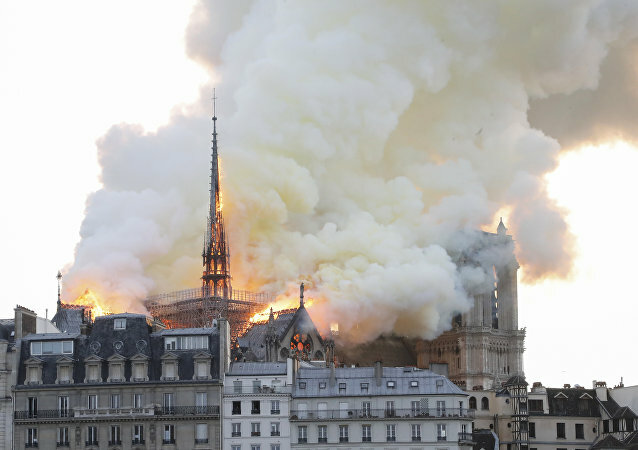 Researcher Bibiana Bryson, who guards hundreds of “prophetic” paintings by Argentinian Benjamin Solari Parravicini, claims the artist managed to predict the blaze in Paris cathedral. The photograph led PolitiFact to claim that the image of “two smiling men”, who were allegedly doctored into the picture, was used to promote speculation about Muslim involvement in the Notre Dame fire. Earlier, French media reported that investigators consider a short circuit as the possible cause of the fire at the iconic Paris cathedral. The incident took place at 4 pm local time in north-western France; the perpetrator released the hostages after an hour, Sputnik France reported. Earlier in the day, it was reported by The Libya Observer that Field Marshal Khalifa Haftar's army had regained control over the Tamanhint Base following the withdrawal of the South Protection Force loyal to the Government of National Accord (GNA). The French authorities have invited Parisiens, firefighters and city officials to the Paris City Hall to take part in an event honouring those who helped save the historic cathedral and the relics it housed. Modern-day supporters of Nostradamus's self-styled prophecies believe that he foresaw the Great Fire of London in 1666, the death of Henry II and the rise of Adolf Hitler. However, scholars point out that his prophecies are worded in a way that enables readers to interpret them through the lens of their own expectations and biases. The medieval Catholic cathedral, an irreplaceable example of ancient French Gothic architecture, went up in flames in the center of the French capital on Monday evening, with firefighters struggling to douse the flames. 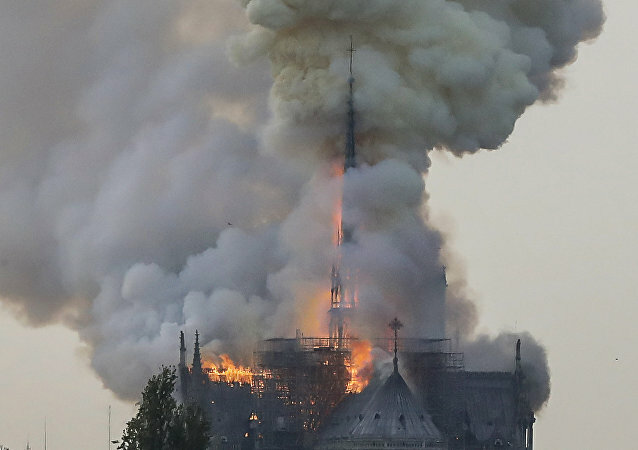 A mammoth fire at Notre Dame Cathedral in Paris, one of the most iconic and cherished monuments in France, has left the entire nation mourning, but for one person, this is apparently only the beginning of a new era. While most of his compatriots joined France in mourning the terrible loss of the 800-year-old cathedral, expressing sorrow and dismay, Expressen journalist and novelist Alex Schulman had a somewhat different approached to the tragedy and reacted with glee. The devastating fire broke out at Notre Dame de Paris on 15 April, causing the collapse of the cathedral's spire and two-thirds of its roof. President Emmanuel Macron has described the inferno as a "terrible tragedy" and promised to rebuild the 850-year-old cathedral within five years. 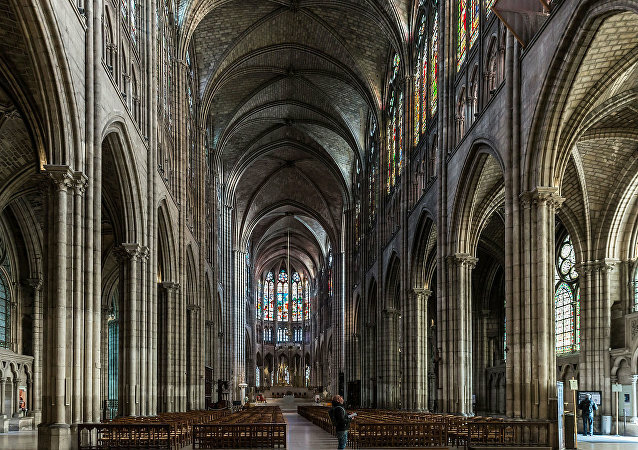 France has suffered a stark uptick in vandalism against places of Christian worship in recent years, with close to 900 acts of defacement and well over 100 thefts of church artefacts reported over the last year alone. 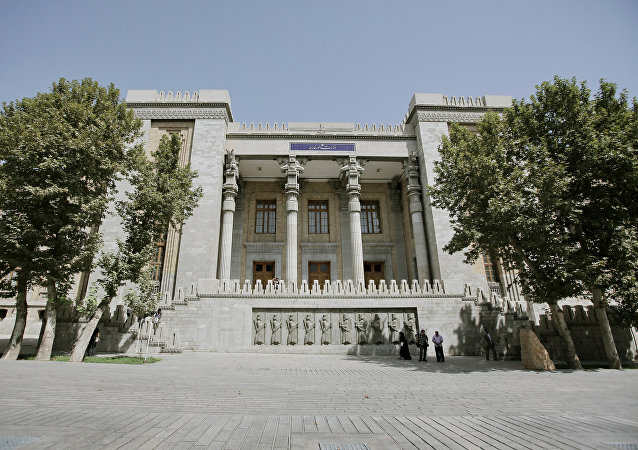 The summoning came in light of a recent tweet by the French ambassador to the US, who stated that sanctions, lifted under JCPOA, could be re-imposed once the deal expires. A massive fire broke out at Notre Dame cathedral on Monday, causing the collapse of the cathedral's spire and the destruction of its roof structure. On Wednesday, the United States announced that it would within two weeks permit its citizens to sue foreign firms and individuals doing business in property seized from them after the 1959 Cuban Revolution. 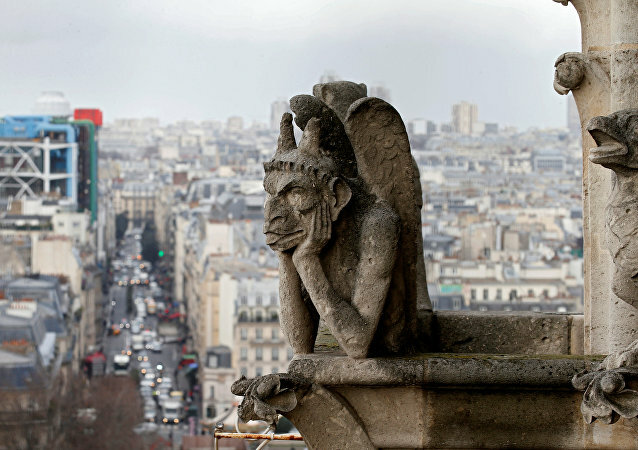 While the rabbi did not directly claim that what happened to the iconic Parisian cathedral was an act of the Almighty, he did not rule out such possibility either, noting a certain incident from distant past that may be related to it. French Rafale aircraft will be pitted against Indian-owned, Russian and Soviet-made MiGs atop a Russian-made aircraft carrier. 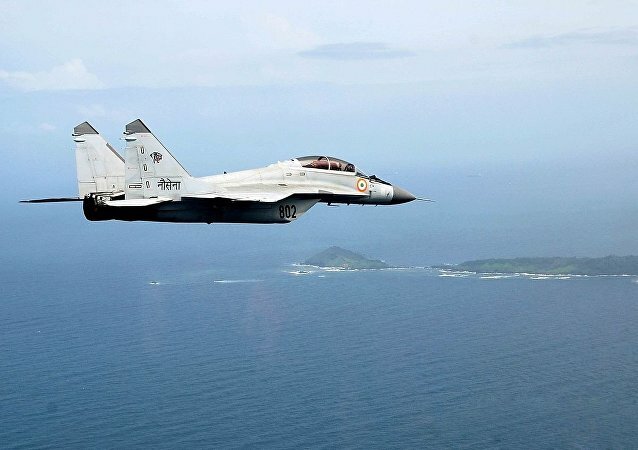 The event constitutes part of the expanding strategic partnership between the two countries to counter China’s footprint in the Indian Ocean Region (IOR). Miss France Vaimalama Chaves gave quite an unexpected reply to a question about her favourite farm animal during a television show on France 2, and vegans will not be in the least impressed. One of Macron's aides told AFP that the country could look forward to "a new act" in his nearly-two-year-old presidency, marked by "profound changes" aimed at drawing the line under five months of violent anti-government protests. Reporters accuse the French government of concealing information about the deployment of these weapons - including battle tanks, artillery, helicopters, and fighter jets - against the civilian population. 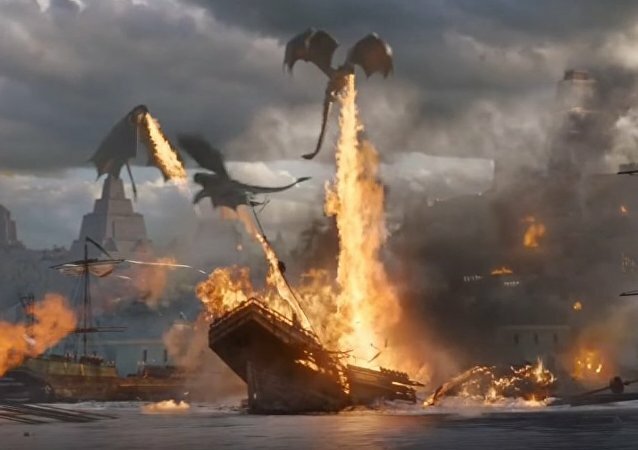 While dragons may exist only in the worlds created by fantasy writers, the French Armed Forces have demonstrated that one does not need some winged fire-breathing reptile to create an impressive fiery display. 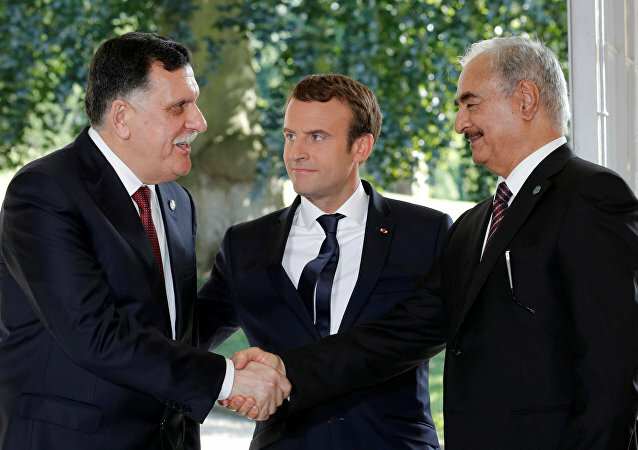 Earlier, a French diplomatic source rejected claims that Paris was on the side of Marshal Khalifa Haftar and his Libyan National Army troops in the current conflict, reiterating French support for the UN-backed Tripoli-based Government of National Accord and denying that it had advance knowledge of Haftar's plans to launch an offensive on Tripoli. 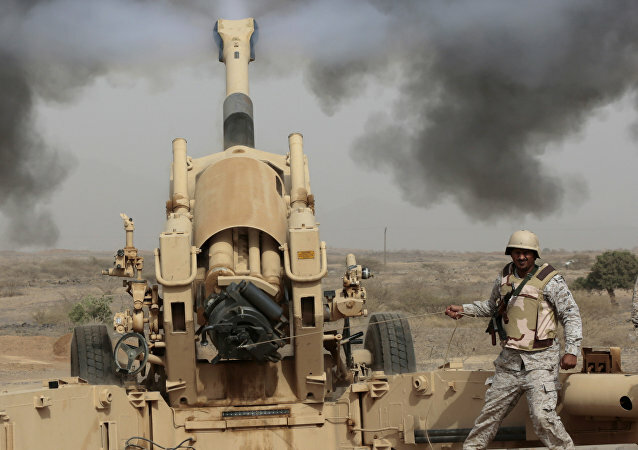 A secret French government report detailing the Saudi-led coalition’s extensive use of French-made weapons in the war in Yemen has been leaked to the press. It’s only the latest expose of how Western nations have provided the coalition with the tools to further the conflict, which has snowballed into a humanitarian catastrophe. A massive fire broke out at the iconic Notre Dame Cathedral in the centre of the French capital on Monday. A video showing Parisians singing Ave Maria near the burning Notre Dame Cathedral as they have nothing else to do went viral. The spire and a large part of the roof of the cathedral were destroyed in the fire; however, the bell towers, the main building and most of the treasures within Notre Dame survived the heat. A massive fire broke out at Notre Dame in Paris on Monday, causing the collapse of the cathedral's spire and the destruction of its roof. 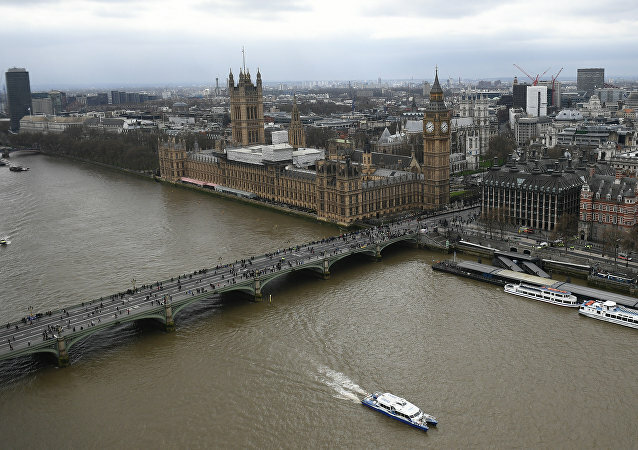 Speaking from the scene, French President Emmanuel Macron described the incident as a "terrible tragedy" and promised to rebuild the iconic 850-year-old Gothic landmark. A huge blaze reportedly destroyed most of Notre Dame Cathedral’s interior on Monday; Sputnik looks into a spate of other similar incidents that have occurred in the past. The fire in the iconic Paris cathedral was sparked Monday evening. The spire collapsed and the beams of its roof were engulfed in flames. According to French media reports, the blaze may have been ignited during restoration work. 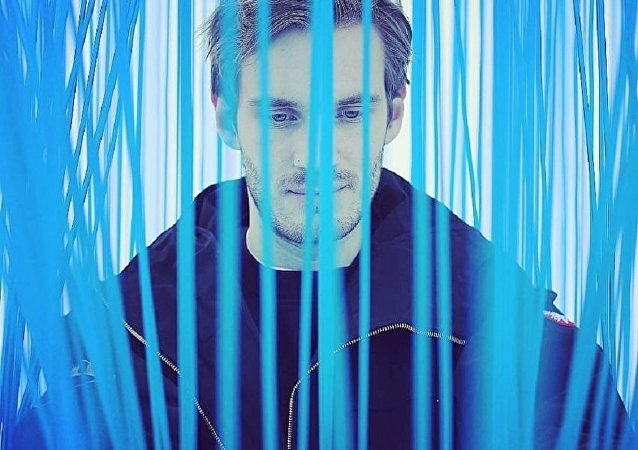 In 2018, YouTube introduced its knowledge panel feature in a bid to prevent users from consuming misinformation on the platform, including conspiracy theories pertaining to the 11 September 2001 terror attacks. A huge blaze tore through the iconic Notre Dame Cathedral on Monday evening. The spire collapsed and the beams of its roof were engulfed in flames. According to French media reports, the blaze may have been ignited during restoration work. PARIS (Sputnik) - The fire at Paris' Notre Dame Cathedral has been put out completely, Gabriel Plus, the spokesman for the Paris Fire Department, said Tuesday.